Comcast's goal is to provide its customers with the best residential cable Internet service possible. In order to help accomplish this, Comcast has adopted this Acceptable Use Policy (the "Policy").“Policy”). This Policy outlines acceptable use of the residential XFINITY Internet service, including Comcast-provided XFINITY WiFi Internet service (collectively, the "Service").“Service”). This Policy is in addition to any restrictions or conditions contained in the Comcast Agreement for Residential Services (the "Subscriber Agreement")“Subscriber Agreement”) available at http://www.comcast.com/policies.https://www.xfinity.com/policies. The Frequently Asked Questions ("FAQs")(“FAQs”) at http://customer.comcast.com/help-and-support/internet/comcast-acceptable-use-policy/https://www.xfinity.com/support/internet/comcast-acceptable-use-policy/ explain how Comcast implements and applies many of the provisions contained in this Policy. All capitalized terms used in this Policy that are not defined here have the meanings given to them in the Subscriber Agreement. All residential XFINITY Internet customers (the "customer," "user," "you,"“customer,” “user,” “you,” or "your")“your”) and all others who use the Service must comply with this Policy. Your failure, or others'others’ failure, to comply with this Policy could result in the suspension or termination of your or their Service accounts. Therefore, you should take steps to ensure that others you permit to use your Service are aware of this Policy and agree to abide by it. If you are unwilling to comply with this Policy, you must immediately stop all use of the Service and notify Comcast so that it can close your account. This Policy applies to your use of the Service if you are a residential XFINITY Internet customer who accesses Comcast-provided, XFINITY WiFi-identified services inside or outside of your premises or in public places using an XFINITY Internet login and password. You can learn more about Comcast-provided XFINITY WiFi services by going to the portal at wifi.xfinity.com.com/wifi/default.htm.https://wifi.xfinity.com/. In the event certain provisions of this Policy may not apply to all uses of XFINITY WiFi-identified services, we explain those exceptions in the FAQs at http://wifi.xfinity.com/faq.php.https://wifi.xfinity.com/faq.php. Comcast may revise this Policy from time to time by posting a new version on the web site at http://xfinity.comcast.net/https://www.xfinity.com/ or any successor URL(s) (the "XFINITY“XFINITY Web site").site”). Comcast will use reasonable efforts to make customers aware of any changes to this Policy, which may include sending email announcements or posting information on the XFINITY Web site. Revised versions of this Policy are effective immediately upon posting. Accordingly, customers of the Service should read any Comcast announcements they receive and regularly visit the XFINITY Web site and review this Policy to ensure that their activities conform to the most recent version. You can send questions regarding this Policy to, and report violations of it, at http://customer.comcast.com/help-and-support/account/ways-to-get-help/.https://www.xfinity.com/support/account/ways-to-get-help/. To report child exploitation or another child-related incident involving the Internet, go to http://constantguard.comcast.net/help/report-abuse/.https://internetsecurity.xfinity.com/help/report-abuse/. the the rights of others, or interfere with or diminish the use and enjoyment of the Service by others. address(“IP”) address that adheres to the dynamic host configuration protocol ("DHCP").(“DHCP”). You may not configure the Service or any related equipment to access or use a static IP address or use any protocol other than DHCP unless you are subject to a Service plan that expressly permits you to do so. You are responsible for your own compliance with this Policy. You are also responsible for any use or misuse of the Service that violates this Policy by anyone else you permit to access the Service (such as a friend, family member, or guest) with one exception: In cases where you permit others to access your Comcast-provided, XFINITY WiFi-identified Internet Service with their own login information, those users are responsible for complying with all then-current terms and policies that apply to their access. You can learn more about Comcast-provided WiFi access at wifi.xfinity.com/wifi/default.htm. https://wifi.xfinity.com/. The Service may not be used to communicate or distribute email or other forms of communications in violation of Section I of this Policy. As described below in Section III of this Policy, Comcast uses reasonable network management tools and techniques to protect customers from receiving spam and from sending spam (often without their knowledge over an infected computer). Comcast's anti-spam approach is explained in the FAQs under the topic "What“What is Comcast doing about spam? "spam?” located at http://customer.comcast.com/help-and-support/internet/reducing-spam-email/.https://www.xfinity.com/support/internet/reducing-spam-email/. If	If Comcast believes in its sole discretion that any subscriber name, account name, or email address (collectively, an "identifier")“identifier”) on the Service may be used for, or is being used for, any misleading, fraudulent, or other improper or illegal purpose, Comcast (i) reserves the right to block access to and prevent the use of any of these identifiers and (ii) may at any time require any customer to change his or her identifier. In addition, Comcast may at any time reserve any identifiers on the Service for its own purposes. The need to engage in network management is not limited to Comcast. In fact, all large Internet service providers manage their networks. Many of them use the same or similar tools that Comcast does. If the company didn't manage its network, its customers would be subject to the negative effects of spam, viruses, security attacks, network congestion, and other risks and degradations of service. By engaging in responsible network management including enforcement of this Policy, Comcast can deliver the best possible broadband Internet experience to all of its customers. Visit Comcast's Network Management page at http://networkmanagement.comcast.net/https://networkmanagement.xfinity.com/ for more information. Comcast applies a monthly data consumption threshold to XFINITY Internet accounts in most of our service areas. The company retains the right to trial or adopt a different data consumption threshold or other usage plan for the Service at any time. If we do this we will notify customers and, if necessary, post an updated version of this Policy. You can learn about the data plan that applies in your area by going to https://dataplan.xfinity.com/. You can view your current data usage at any time by logging into your My Account page and viewing the data usage meter at https://customer.comcast.com/MyServices/Internet/UsageMeter/.https://customer.xfinity.com/MyServices/Internet/UsageMeter/. You can also use the XFINITY My Account mobile app to view your data usage. Comcast reserves the right immediately to suspend or apply other interim measures in its sole discretion to your Service, or terminate your Service account and terminate the Subscriber Agreement if you violate the terms of this Policy or the Subscriber Agreement, or if anyone else you permit to access the Service violates this Policy. In that event, Comcast also reserves the right to downgrade, suspend, or terminate other Comcast services you receive. Comcast is committed to complying with U.S. copyright and related laws, and requires all customers and users of the Service to comply with these laws. Accordingly, you may not store any material or content on, or access, share or disseminate any material or content over, the Service (or any part of the Service) in any manner that constitutes an infringement of third party intellectual property rights, including rights granted by U.S. copyright law. Comcast complies with the Digital Millennium Copyright Act and provides a method for copyright owners to communicate information about alleged infringements to us, and for us to inform our customers about them. You may receive notices or alerts if your Service account is identified by a copyright owner as having been used in connection with acts of alleged copyright infringement. Owners of copyrighted works who believe that their rights under U.S. copyright law have been infringed may take advantage of certain provisions of the Digital Millennium Copyright Act of 1998 (the “DMCA”) to report alleged infringements to us. In accordance with the DMCA and other applicable laws, Comcast also maintains a policy to terminate the Service, in appropriate circumstances, provided to any customer or user who is a repeat infringer of third party copyright rights. 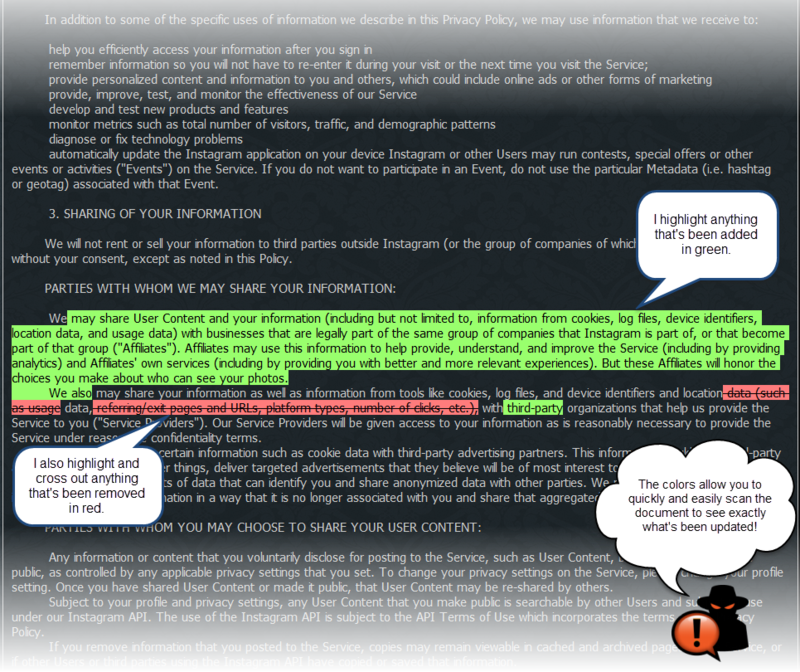 Comcast’s repeat infringer policy includes graduated or escalated alerts of alleged infringements, acknowledgement of alerts, suspension of the Service, the application of other interim measures determined in its sole discretion to the Service, and, in appropriate circumstances, termination of the Service (and other services provided by Comcast to you). You can learn more about Comcast’s DMCA and repeat infringer policies here. Comcast also reserves the right to terminate the Service at any time with or without notice for any affected customer or user who Comcast, in its sole discretion, believes is infringing any copyright or other intellectual property rights.